Ibutamoren is a compound that may improve longevity, bone density, cognitive ability, strength, and metabolism. It’s being investigated for Alzheimer’s disease, frailty in the elderly, and growth hormone deficiency. Ibutamoren is also used by athletes to gain a competitive edge in sports. Ibutamoren binds to the ghrelin receptor, mimicking the effects of ghrelin. These effects included increased appetite, muscle mass, bone mineral density, angiogenesis, VEGF expression, protection of the heart, and modulation of glucose and energy homeostasis. Growth hormone is a peptide stress hormone that tends to increase glucose, free fatty acids and insulin growth factor-1 (IGF-1). Growth hormone also stimulates growth, cell reproduction, and cell regeneration in humans. No discussion of Ibutamoren would complete without mention of the ghrelin receptor. Also called the growth hormone secretagogue receptor (GHSR), this receptor is a GPCR that binds ghrelin. In the brain, the ghrelin receptor is located in the the hypothalamic ventromedial nucleus and arcuate nucleus, as well as in ventral tegmental area dopamine neurons projecting to the nucleus accumbens. Ibutamoren is an active agonist of the growth hormone secretagogue receptor (GHS-R1a). This receptor is also known as the ghrelin receptor because ghrelin naturally binds this receptor in the body. Ghrelin is the “hunger hormone” because it increases appetite and is opposed by leptin – the “satiety hormone”. Ghrelin also regulates energy homeostasis and weight. Ibutamoren is potent, long-acting, and highly selective for the ghrelin receptor. Ibutamoren mimics the effects of ghrelin and produces a sustained increase in insulin-like growth factor-1 (IGF-1) and growth hormone. Mucuna pruriens is a natural brain supplement touted for improving mood and keeping the brain healthy and protected. It supplies the brain with many of the nutrients and ingredients it needs in order to function at its best and is thought to help reduce susceptibility to stress. One of the most important compounds found in this plant is Levodopa (L-Dopa) which is used to produce the neurotransmitter Dopamine among other hormones. Many researchers are studying the potential effects of Mucuna pruriens which range from being able to increase levels of human growth hormone (and other potentially anabolic hormones) to increasing testosterone and improving sexual drive and promoting positive feelings. It is also thought to have a neuroprotective effect upon the brain cells and other bodily processes, possibly reducing signs of aging. Additionally, because it contains natural L-Dopa, it has been tested as a possible natural alternative or complementary treatment for Parkinson’s disease. One of the purported benefits of this supplement is that it may naturally help to increase growth hormone release. This is primarily due to the presence of L-Dopa within the supplement. There have been a number of studies and research that shows that L-Dopa is found in high levels (4-7%) within Mucuna seeds. In research studies, L-Dopa has been found to stimulate growth hormone effectively, and therefore due to its L-Dopa content, it is hypothesized that Mucuna pruriens supplementation may increase growth hormone levels in the body. Apply 4-6 pumps of HUMANOGEN™ once or twice daily to the upper arms, shoulders/traps, thighs or abdominal areas. 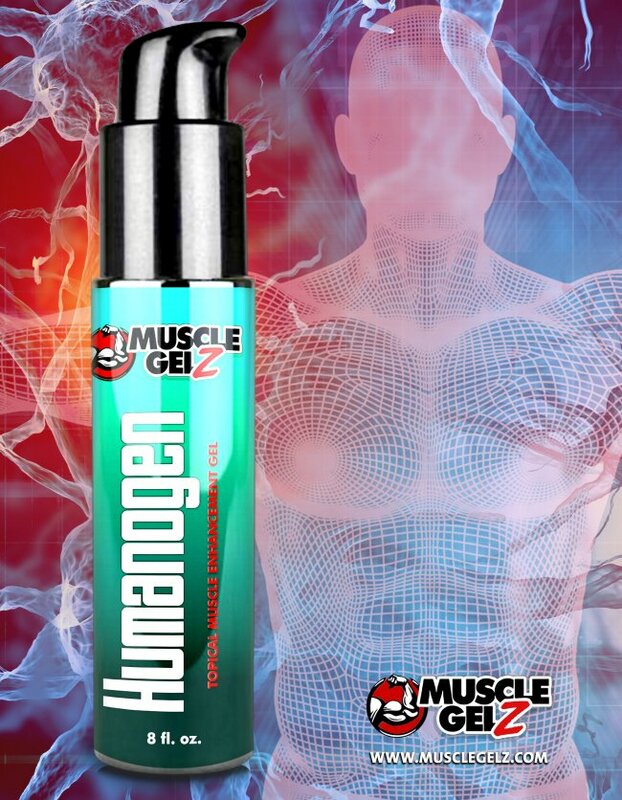 Click the button below to add the Humanogen (MK677) by MuscleGELZ - HGH+IGF1 secretagogue to your wish list.